As people age, they often begin to face new challenges associated with growing older. The fact is our bodies simply begin to breakdown as we move into our golden years. With the many physical challenges, outside factors are often overlooked or not considered. These outside factors, such as the dangers of toxic mold exposure, can exacerbate an already delicate physical condition – especially those with an immune deficiency or an immunocompromised system. The importance of controlling the, often hidden, mold dangers for a growing elderly population are evident when looking at the last census. The 2010 United States Census revealed that 13 percent or about 40.3 million people in the U.S. were over 65 years old, and experts believe by 2050 this number will increase to 20 percent with about 19 million people over 85 years of age. With such an increase in the elderly population, allowing indoor mold to proliferate will not only directly affect their quality of life but create a potential significant increase in medical expenses. Some of the medical conditions caused by mold exposure are extremely serious. Although any kind of mold can cause physical problems or reactions, toxic black mold – Stachybotrys chartarum or Stachybotrys atra – is especially dangerous because it releases mycotoxins. Exposure to these mycotoxins can be extremely detrimental to the elderly population and to people in general. Our certified mold representatives can answer any questions you may have about your healthy, property, or our services. While death is rare from exposure to toxic black mold, there are a variety of symptoms and ailments that effect people who come into contact with the mycotoxins associated with the fungus. 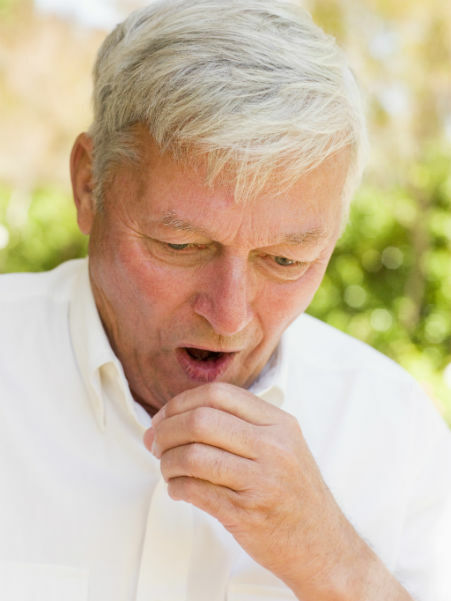 These symptoms include nasal or sinus congestion, eye irritation, wheezing, and difficulty breathing. It is important to note that these symptoms are not limited to toxic mold, but can be attributed to any kind of mold exposure. The best course of action for all people is to take steps toward limited or eliminated indoor mold-friendly environments. Mold typically thrives in humid conditions. These conditions are often caused by leaking plumbing, roof leaks, or a flooding event. To further complicate the issue many humid environments within a home or other building are hidden, making it important for occupants to be wary of the warning signs or symptoms of mold exposure. Mold can grow within walls, in attic spaces, and inside crawl-spaces on materials such as fiberboard, paper, lint, gypsum, and even dust. Dealing with moisture within a structure should be accomplished proactively. In climates where humidity is high, a good method for controlling potential mold growth is to use a dehumidifier. When there is a flooding event, or a leaking pipe, the areas should be promptly cleaned up and completely dried. This process is best accomplished by professionals who have the proper equipment and know-how to ensure mold cannot take root on building materials. Contacting a certified inspector to do a mold inspection, or conduct mold testing, to identify the presence of mold is recommended if occupants experience symptoms or know of a moisture problem. Mold spores can potentially cause serious health effects for healthy individuals, but for the elderly the risks can be much higher because of the normal aging process, especially if they suffer from immunocompromised systems or respiratory ailments. To ensure the indoor mold is limited and controlled in a residence or other building, contact Indoor-Restore. Perhaps the most impressive aspect of our company is the warranty following a mold remediation project. After the work area passes a clearance test, we guarantee the mold will not return for 10 years. Do not hesitate to contact us if you have any questions or concerns about how mold affects the elderly or the services we offer to thoroughly inspect and detect mold problems in your property. We employ a team of professionals that can inspect, test, and remove mold from your home. Certified through the Indoor Environmental Association (IEA) and the Mold Inspection, Consulting and Remediation Organization (MICRO), all of our services meet or exceed the recommended protocols of the Environmental Protection Agency (EPA) and the Occupational Safety and Health Administration (OSHA).